I recently leased a Qx50, coming from years of owning Lexus, but I wanted to test drive and see why my brother likes it so much. I met a salesman, Alfredo who was very courteous and made the process very easy. We went over the safety features and he made sure the car was detailed and I was out of there in 2 hours. Best car purchase ever!! Stopped there yesterday to look at a car I saw online. Had spoken on the phone with Keith and he was expecting us. He was honest and did not waste our time. The manager came to introduce himself and was also very courteous. If you go for outstanding customer service, see Keith. Shanel, Abbey and Ed offered a prompt and quality experience during our recent purchase. This is a rare qualitity in today’s market, however, I am happy to share that the team at Lauderdale Inifiniti have not lost the art of true customer service.Well done and we are looking forward to our next purchase. Thank you to Dan Hughes, one of the most professional, organized, and knowledgeable service managers I have ever met. Very helpful and very PROFESSIONAL PEOPLE so nice I love it there!!!! I bought a used car for my son without seeing it as we live in Alaska and don't have an INFINITI dealer. Though this was a long distance sale, it went smoothly and the car was accurately described. Due to a crack on the dashboard we came to an agreement to have the dashboard replaced prior to shipping so the car looks new again. This INFINITI EX35 is handling the cold, snow, and terrain of Alaska like a champ and is very fun to drive. Mechanically I have had no problems after replacing a battery in the key due to the severe cold here. Chris was great to work with and kept up with everything. Thank you Jean and Andrea for an awesome experience at your dealership! I was treated kindly and respectfully! Lauderdale INFINITI treats the needs of each individual customer with paramount concern. We know that you have high expectations, and as a car dealer, we enjoy the challenge of meeting and exceeding those standards each and every time. Allow us to demonstrate our commitment to excellence! If you are looking for new or pre-owned vehicles, stop by our dealership. Plantation INFINITI customers can check out our hours and directions to get to us faster. Our knowledgeable staff, vast inventory and amazing financing options will ensure that our Sunrise INFINITI customers get what they want at prices that agree with their budget. Our experienced sales staff is eager to share its knowledge and enthusiasm with you. We encourage you to browse our online inventory, schedule a test drive and explore financing options. You can also request more information about a vehicle using our online form or by calling 866-267-8986. Contact us to know more about our inventory or the services that we offer. We strive to make the experience of buying a vehicle completely stress-free and enjoyable for you. Confused whether to buy or lease a vehicle? Get in touch with our financing department and they will work out the best offer for you. Just fill in your information in the Payment Calculator and our staff will take care of the rest. You can also fill in the Finance Pre-Qualification Form or call us at your Oakland Park and Plantation INFINITI dealer alternative for details about this process and start it before you visit us. 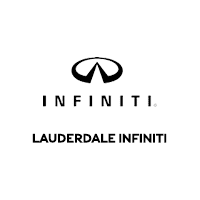 Lauderdale INFINITI will ensure that you get the best vehicle buying experience.